Every time that there’s a write-up about Canada, we are often told that it is the second largest country in the world. So, it is not surprising that this fact is already known to every man all across the globe. Two of the most significant symbols of Canada had not existed until the 1960s and 1980s. The flag and national anthem are crucial signs of a country’s sovereignty. However, when talking about Canada, their famous flag was not made until 1965, while their national anthem, O Canada, came much later in 1980. Canada’s name was derived from the Native American word ‘kanata,’ which means village or settlement.This word is specifically from the Iroquois tribe, who inhabited Quebec in the 1700s. According to legends, the Iroquois invited French explorers to their Kanata. The explorers then assumed that it was the name of the place. 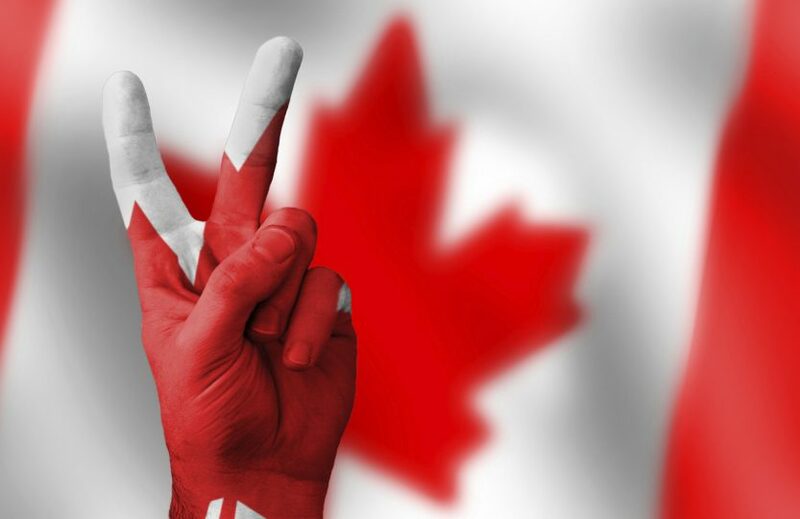 Canada has two official languages spoken by its residents, English and French. Don’t be surprised if you visit the country and encounter people speaking in French. In many cases, immigrants are even encouraged to study the French language, apart from English. Want a long road trip? You can travel straight across Canada via the Trans-Canada highway, aka Highway 1. If you do this you will surely find yourself at 5 different time zones and will be able to pass by 10 different provinces. When it comes to food, travellers to Canada are often urged to try poutine, a slang for ‘a mess.’ Poutine is French fries with cheese curds. The combination is covered in gravy. Poutine was originally served only in Quebec. However, since more and more tourists are looking to dig into this mess, more and more restaurants and fast foods are serving poutine. Maple leaf is found on the Canadian flag. This says so much about the relation of the maple tree to the country. Eighty percent of maple syrup is produced in this North America country. Maple syrup is such a staple in the Canadian pantry and is used by most during breakfast. Such is the importance of this produce that Canada even has a reserve where tons and tons of bottles are stored. Underground shopping? Yes please! Toronto is home to an underground destination with a system of pedestrian walkways. It also houses more than 1200 restaurants and stores plus 5 subways stations and 50 office towers. The underground urban area is dubbed by the Guinness Book of World Records as the biggest underground shopping complex in the world. Residents love this place particularly during the summer and winter when the weather is either too hot or cold to do some shopping and other recreational activities. Want to know how friendly Canadians are? In Churchill, cars of the residents are remained unlock just in case a pedestrian needs a quick escape from irate polar bears. The Royal Canadian Mint doesn’t just make coins for the country’s currency but also for other countries, 89 others to be exact. Knowing more about Canada, also means recognising its contribution to the entertainment scene. Some of the biggest stars in Hollywood are from this country – Ryan Reynolds, Ryan Gosling, MichaleBublé, and Justin Bieber. Many Hollywood films and TV shows are also shot in Canada.